The official start of the hurricane season in the North Atlantic was June 1 and most experts are predicting a relatively quiet season, pointing to relatively cool water temperatures in place and a developing El Nino in the Pacific. El Nino can be thought of as a substantial warming of ocean water in the central and/or eastern Pacific which in turn alters global weather patterns. Atlantic hurricanes typically encounter more hostile atmospheric conditions during El Nino events, limiting their potential to develop and strengthen. Most of the inactive seasons in the Atlantic over the past 20 years have occurred during El Nino events. Assuming that the seasonal forecasts are correct (which can be a leap of faith sometimes, especially since El Ninos can be difficult to forecast), an inactive season does not mean that the U.S. is significantly less vulnerable to a major hurricane landfall. 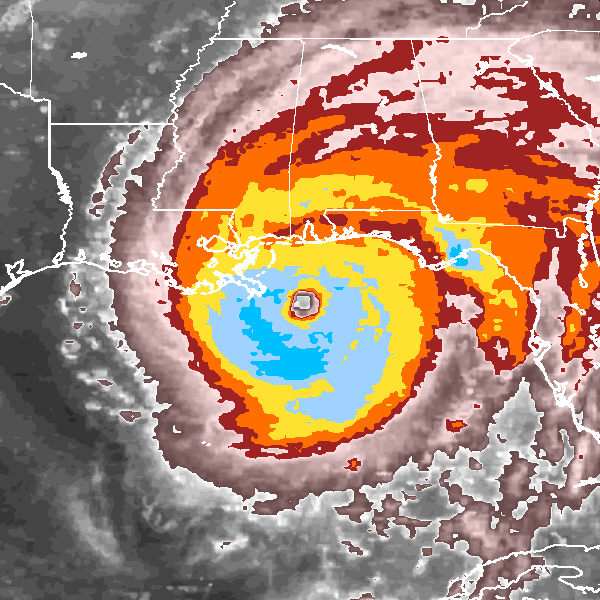 The last major (Category 3 or higher on the Saffir-Simpson scale) hurricane to make a direct landfall in the U.S. was Hurricane Wilma nearly 9 years ago (Hurricane Sandy was not a major hurricane at landfall); this in an era of relatively high activity. Conversely, Hurricane Andrew (1992) was a Category 5 hurricane that devastated south Florida; there were only 6 tropical storms or hurricanes that year! Much has been written on this major hurricane landfall drought – most attribute it to luck. To mark the beginning of the Atlantic season, this month Cyclone Center is going back 10 years to a time when major hurricanes seemed to come at the U.S. coastline every week. We will begin the month by featuring four storms that caused substantial problems for the state of Florida: Charley, Frances, Ivan, and Jeanne. 34 people lost their lives and almost $19 billion in damages was attributed to these storms. As the month progresses and our classifiers do their thing, we will cycle in other major hurricanes for classification. Remember, your classifications will help us to improve our estimates of the strength of these storms. This in turn will help scientists to understand how tropical cyclones have been changing over the last three decades. Head on over to Cyclone Center and work on these major 2004 storms today. I actually experienced these storms first hand when I lived in Florida during that time – it is much less fun to be under one than looking at it from above! Lorie, please tell me more about why you can not sign up and I will make sure you are able to. Thanks. Will look forward to working on these monsters, I live 99 miles north of the Mississippi Gulf Coast and have experienced a lot of stormy weather over the past 75 years. See you around.